Advertising plays a major role in selling, and the first step in advertising is to create awareness of your brand or business name. Some people do this via word of mouth while others opt for various methods of advertising. However, on a more personal level, the best way to get your brand name out there is to carry with you at all times, your business card. This card normally carries your name, your company/brand name, your designation at that company, and all necessary contact information. The best way to make sure that the recipient of your card remembers your brand name is to make it unforgettable. The card itself should be a depiction of what the company is about, and since pictures speak louder than words, your brand leaves a most effective mark if the creativity in the business card speaks for the brand itself. 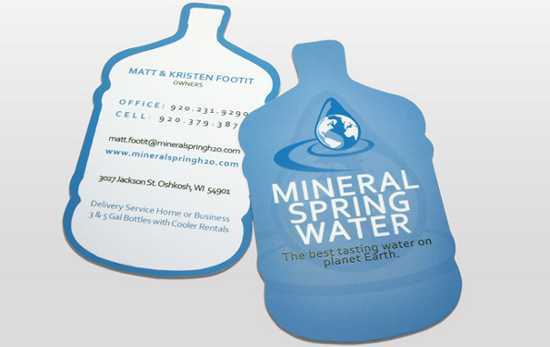 If you like This Article, You might be interested on Funny Business Cards, Creative Credit Card Designs, Personal Business Cards Designs, Art Business Cards, Meta Business Cards,Transparent Business cards, Die Cut Business Cards and Clever Business Cards.